Oh, hi. Happy Sunday. I mean, Happy Super Bowl Sunday! Not that I really like football or anything. I am more of a hockey girl. Overall I would say that running was SO MUCH BETTER this week as compared to last week’s workouts. No more random soreness and thankfully, my hip which was slightly bothering me is feeling much better. I made sure to stretch each morning before my workouts with my favorite Yoga For Runners: Pre-Run. I have this particular yoga practice memorized so I don’t even need to follow the video! What bothered me most about today’s workout was knowing that had I been able to run outside, I would have easily completed at least 5 miles. I just wasn’t feeling the treadmill today at all. My legs felt a little heavy and just sort of stuck in one place if that makes sense. 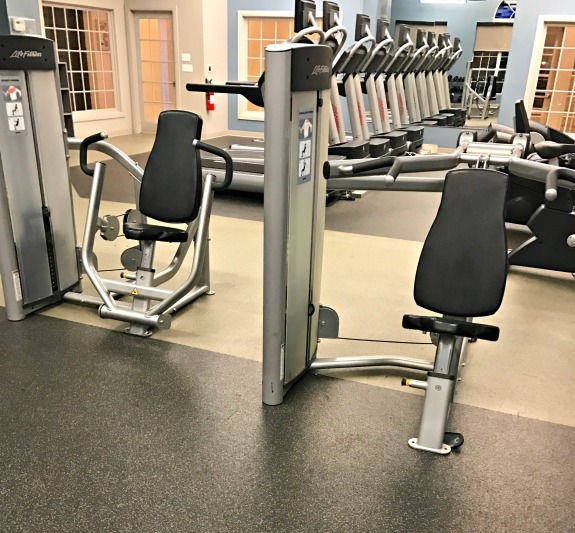 After 3 miles, I switched to the elliptical which turned out to be a great 20 minutes plus some free weights and these arm machines. My arms were a bit sore by evening so I guess I worked a new muscle or two! I felt so energized after this run! If I had the time, I would have kept going. 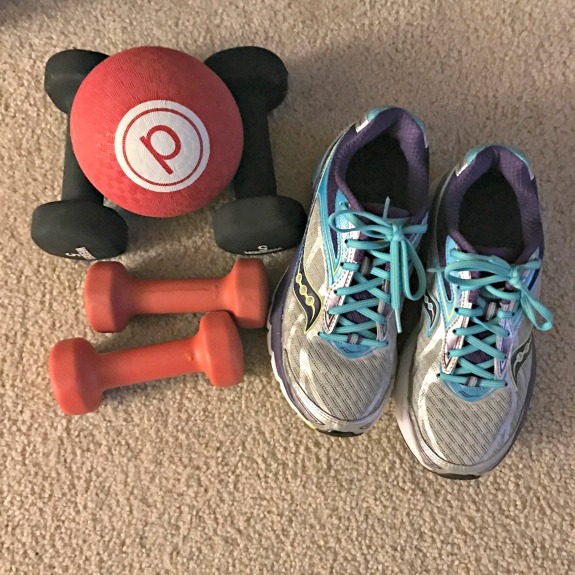 After Pure Barre, I headed to the gym for 4 easy miles. 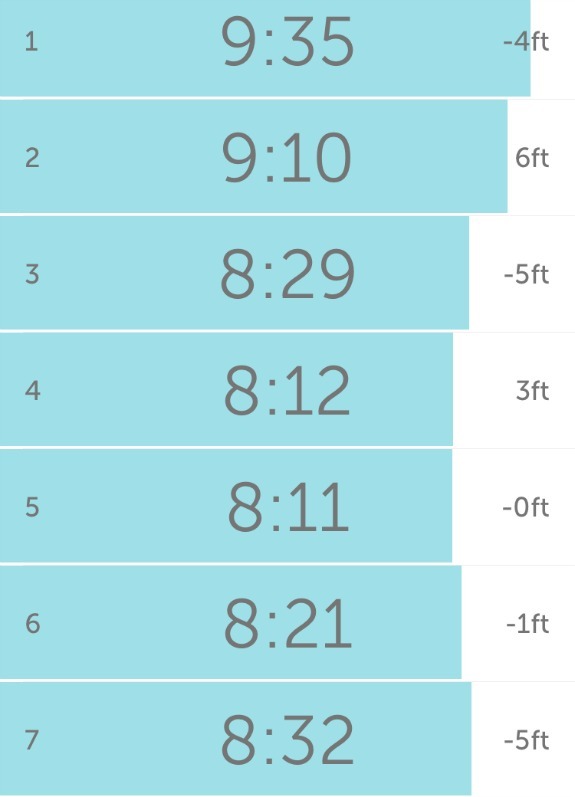 When I say easy, I mean I tried to follow my easy run on the treadmill workout plan but bumped the speed up in the last two miles – no higher than 7.0 though. I really wanted to keep the run at an easy pace which is sometimes hard for me on the treadmill. It’s rare for me to get a run in outdoors in the winter during the week since the sun doesn’t rise as early as I like to run. I made it outside today though! I bundled up for a 7 mile run which turned out to be great. 2 mile warm up, 3 miles effort, 2 miles where I couldn’t decide if I should run easy or keep up the pace because I felt so good! The arm work in Pure Barre really brings my heart rate up – every time! I rarely do the back & cool down workout but I didn’t want to fatigue my leg muscles with the other Pure Barre workouts so this was a nice change of pace. It involves more stretching than the other Tone in 10 workouts but also focuses on core and back strength. 4 miles (outside) at around 10:00 pace. This is why I need outdoor runs sometimes – on the treadmill I end up going faster than where my easy pace would naturally fall outdoors. It was around 20 degrees with a decent wind but I didn’t notice! Between all my layers, hat, gloves and neckwarmer, I was good to go. I had no real plan for this long run other than to complete 12 miles. I started out a bit too fast in the warm up (9:11, 8:42 splits) but overall felt really strong with energy to spare at the end. For a minute I considered going another mile but decided it’s best to end on a good note and not overdo things. I like to save the Pure Barre Pure Results workouts for the weekend since they are 55 minutes. By the way, Pure Barre is running a deal right now of 25% off DVD’s and online workouts. They didn’t tell me to tell you that, I am just telling you in case you are interested in trying Pure Barre from home. You know I love it! Have you tried an at home Pure Barre workout? Which is your favorite? Are you running today? Inside or outside? Glad your random soreness is gone and the hip is feeling better! And yay for getting to run outside during the week! We should be starting to get a little sunlight in the mornings now (until daylight savings starts in March). I need to look into those Pure Barre workouts that are on sale! Glad you’re feeling better! I ran outside today (Its summer here in Lima, hehe). Glad you were able to get outside! Today is an unintentional rest day because we didn’t go snowboarding or snowshoeing. I considered going for a run but next week’s workouts are challenging so I am just taking advantage of the rest!